Embrace the new with our Nouveaux custom USB drive! 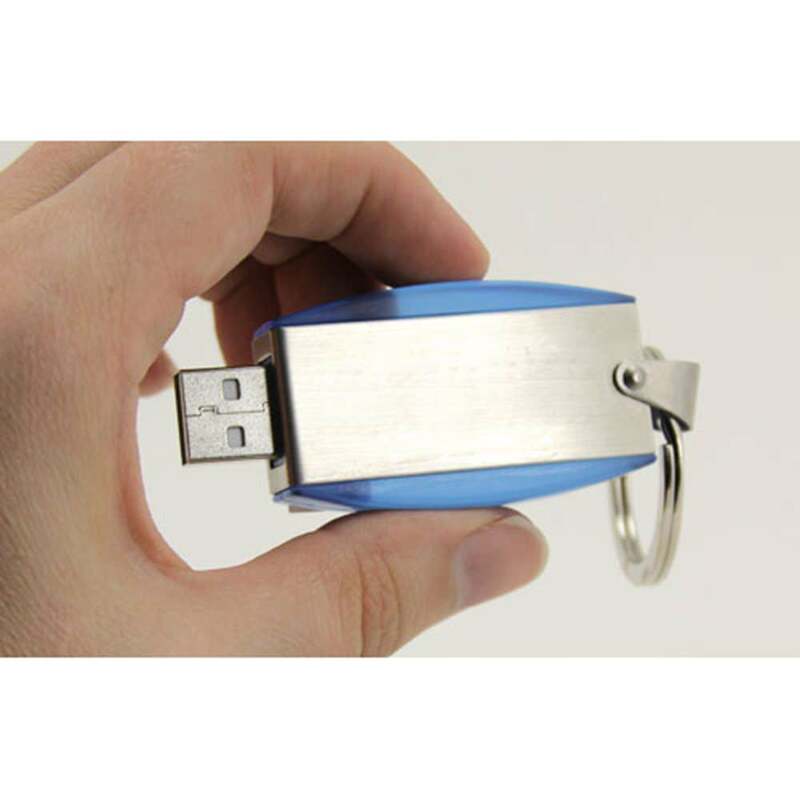 This customizable USB is a classy, state of the art promotional flash drive. Combining a plastic body with an aluminum surface and a thin wrap-around of stainless steel, the Nouveaux is built for style and safety! It has a large imprint area on it, perfect for personalizing your Nouveaux with a logo or personal brand. 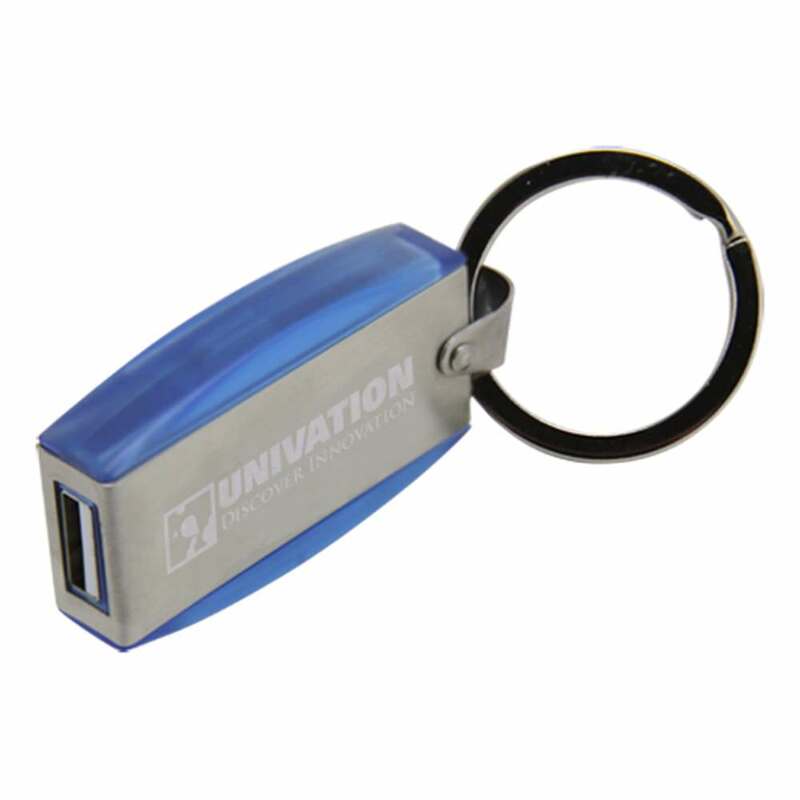 This capless USB comes with an LED indicator light and an oversized key ring that makes transport easy. Out with your old USB, in with the Nouveaux. 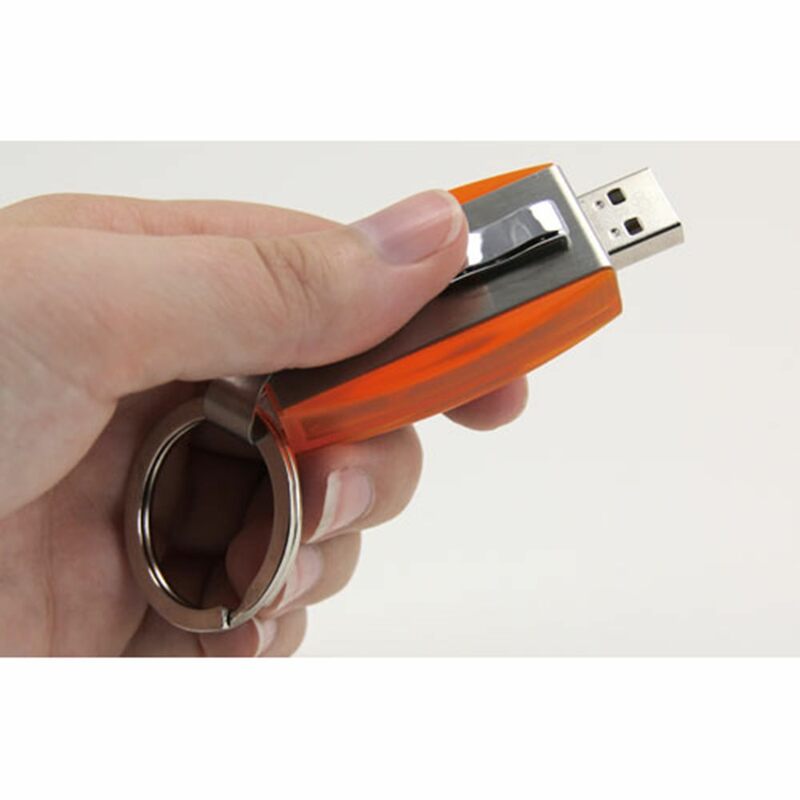 The Nouveaux is a top of the line, next generation custom flash drive. It’s a bold, contemporary-styled USB for forward thinkers. The Nouveaux comes in a plastic body with an aluminum surface that has a thin piece of stainless steel wrapping around it. The combination of different materials gives it a striking, original look and also offers extra protection for your Hi-Speed USB! The Nouveaux is a capless USB with the drive popping out via a slider. It has a large imprint area on it that’s perfect for personalizing it with your logo or personal brand! It comes with an LED indicator light that lets you know when it’s powered on or busy. It also comes with an oversized keyring at the end: Not only does this keyring give your drive some modern flair, it also makes it easy to attach it to belt loops, straps, laptop bags, and anywhere else you want the Nouveaux to make a lasting impression. This customizable drive has 1,000Gs of shock resistance, up to 10 years of data retention, and a limited lifetime warranty. The Nouveaux has data storage capacities that range from 128MB to 32GB. It’s compatible with PC, Mac, and Linux. Order your custom Nouveaux with free shipping and it should arrive within 10 business days. The Nouveau comes with Free 4-Color Silkscreen or Laser Engraving. 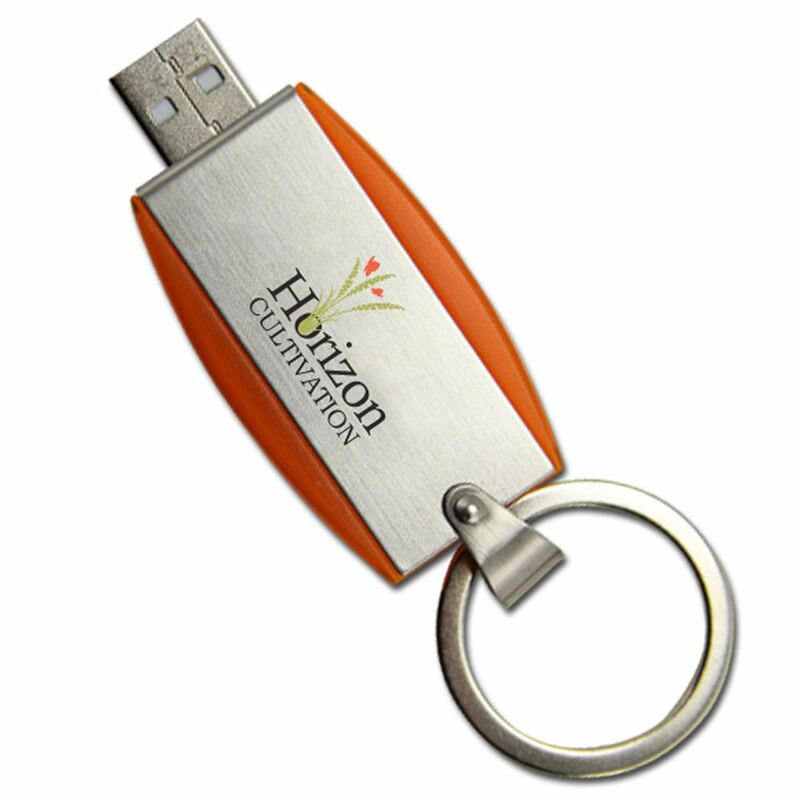 You can get your logo printed or engraved on the Nouveaux, which both personalizes your USB and also makes it a great promotional tool. 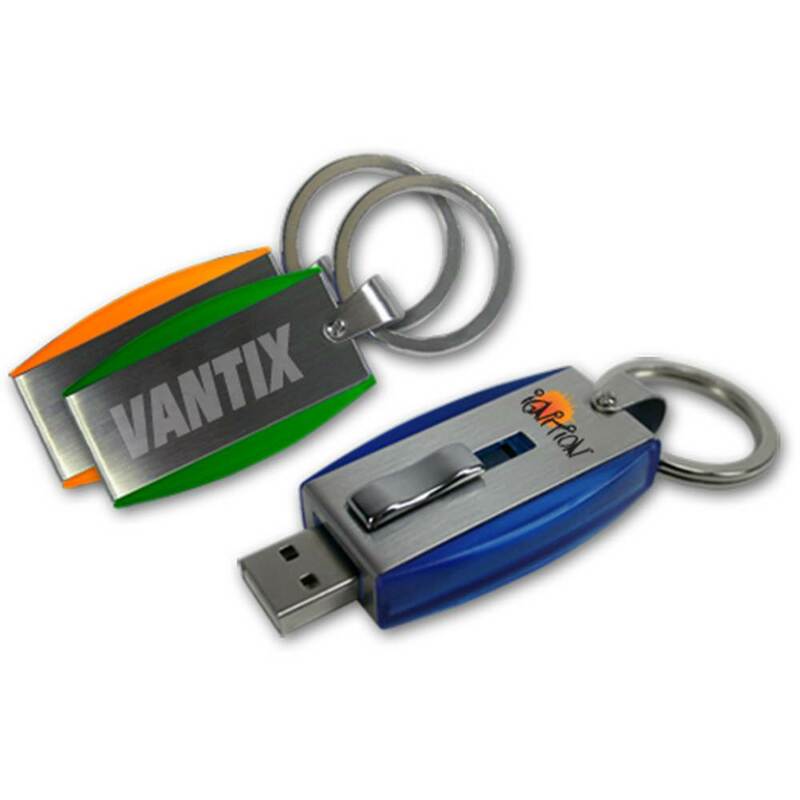 Show your organization’s great taste and innovative attitude with the Nouveaux custom drive.